Cariboo welcomes baby in sustainable style. 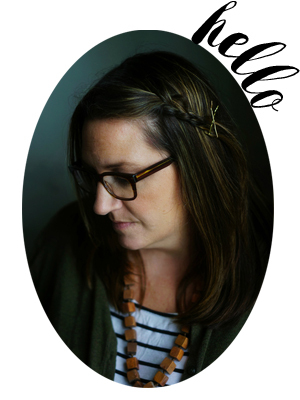 All Cariboo designs are inspired by a commitent to the safety and protection of children and the environment. Handcrafted in rural Canterbury in New Zealand's South Island, the Cariboo line is constructed from sustainable, local materials including radiata pine and organic New Zealand wool. 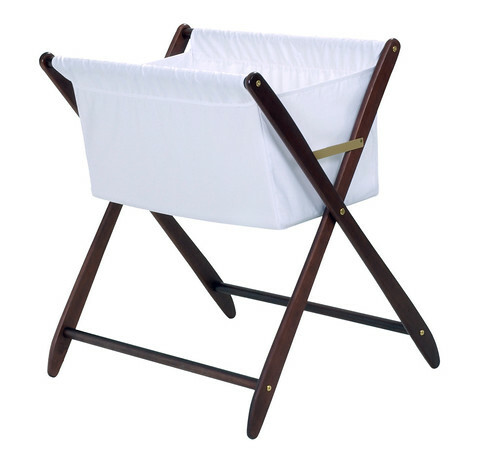 The bassinet comes with 100% cotton bassinet linens and is made from sustainable wood. It assembled in less than ten minutes (even with help from eager little hands) and it feels sturdy, safe and long-lasting. Thanks to the generous folks at Cariboo, one lucky MommyCoddle reader will receive a Cariboo Folding bassinet. Simply leave a comment on this post to be entered. A winner will be chosen at random and announced on Monday, May 3rd. Good luck! And happy weekend!! Oh, what a beautiful bassinet! I would love to have one for our little one due in July! Wow! Please enter me! Thanks! Love it! That would be so great to travel with! eek! now that I would love to have. Gorgeous!! This would be perfect for my sister who is due in September. Um, that is only the most adorable thing I have ever seen. I have been going back to check out this bassinette over and over for a couple of weeks. I can’t remember on which blog I read about it, but the blogger remarked that they liked it so much they wanted to french kiss it, and I couldn’t agree more. It is just out of my price range, though. This is just beautiful–so simple and practical. Love it! I would love this for my new little one!! Adorable! I borrowed a bassinet for our first, so the one on the way would really love this! So beautiful! It takes my breath away. Molly thanks for all of these beautiful products and letting us have a chance to learn about them (as well as possibly win). Perfect! So simple yet beautiful. We’d love to win one as we are awaiting the adoption of baby number 4! Thanks so much! What an awesome giveaway! This is so cute and practical. Wow! This is the most perfect bassinet.Simple and sophisticated! This is so streamlined and practical and lovely. I would love to lay our third child down in it when he or she arrives. Thanks for the chance! This would be perfect. I love how simple it is! How gorgeous! Love the clean, sleek lines! So simple and beautiful. Thanks for the giveaway. WOW, what a fantastic giveaway! I really love this. It looks so practical and pretty. This is a great giveaway. This bassinet is the only one I have seen that is beautiful. What a great giveaway. This is so simple and beautiful. Thank you! Such a lovely bassinet…and easily portable, too! Beautiful! What a great giveaway! Oh I would like so much to win this. Then I might be able to convince my husband we need a baby to put in it!!! Wow! I’ve never seen anything like this before but it’s fabulous! I’d be proud putting a baby to sleep in that basinet! Wow that looks amazing!!! I want one. Now that is a wonderfully practical bassinet. Just love it. So cozy and inviting!!! I love it. much more aesthetically pleasing than a pack and play! This would be awesome to win. My second little one will be coming soon, and I’d love to give this a try! i would love this for #3 on the way! thanks for the giveaway! Oh wow- this has long been my dream baby bed! This (and that awesome baby hammock from NZ) are both out of reach financially. These are some truly fantastic giveaways! Thanks! This has been on my list since I saw it a few years ago on a blog. I keep thinking about it and I’m glad to read the good review from you! The portability aspect is great! I’ve long admired the cariboo bassinets, but I’ve always made do with the one I scrounged up on craigslist. Looks wonderful. Especially for smaller places that don’t have a lot of room for extra stuff. Wow! Perfect for the family with limited space indeed! With almost 5 children (and 2 parents) in under 900 square feet, I think this may have been designed with our family in mind! We also travel to my parents’ house at least monthly for overnight visits. Wow- how perfect is this?! And the changing table attachment? Genius!! The bassinet is simply lovely! Thank you for the giveaway. I enjoy reading your blog very much! My baby arrives at the end of June and I would love to put him to sleep in that beautiful bassinet! Pick me please! Nice to see something not so bulky! Wow! This beats the thing I had on my registry! So beautiful…I would love to win! Oh, I love this! What beautiful design, and no lace ruffles!!! The thought of having such a simple, moveable, foldable bed for an infant sounds heavenly! Very clean and simple. I love it! Remarkable! I have never seen anything like it. It is more beautiful and seems much more easy to transport than a typical pack-n-play. Wow the bassinet is simple and I love giveaways. oh man! that would be SOOOO helpful! Oh, I love these! Their changing tables are lovely, too. Wow! That would be so useful! Thanks for all the great give aways this week. I would love to put our new little girl in that when she arrives. Being the third girl there won’t be many new purchases. SO pretty. Thanks for the awesome giveaway! That is a very neat bassinet! Why aren’t all baby products made this simple and beautiful? How lovely! Our old bassinet was victim to the great mold breakout of 2009 (not much was left unscathed! ), and with a new little one on the way and not much space,this is perfectly handy! It is lovely. Thanks for the chance to win. This would be great to try out with my little Beast – he was born just two days ago! I just came across your blog for the first time. I love the simple schooling ideas! Thanks for the inspiration, and the great giveaway. What a fantastic giveaway! I can’t imagine a home this little bassinet wouldn’t look great in! My first baby is due in November. I would love this. Awesome giveaway! Wow, could we use this! What a timely giveaway! Have wanted this beauty for a long time…. perfect for the lil babe on the way! How nice. What a fantastic thing to win. My third baby is due in Sept. and I’d love to put this next to my bed! Wow – what a beautiful bassinet! I would love to have one of these close by when my little one arrives. Thanks! These bassinets are awesome! I’ve had one on my wishlist since I got pregnant, and I know Cricket would sleep well in one now. I’m going to tweet about your giveaway!! My 7 week old would look absolutely scrumptious in this beauty! These are just beautiful! What a fabulous design. That looks so cute and I love the design! wow! we have been co-sleeping but this looks and sounds amazing! life changing in our case! it’s lovely–thanks to you and your sponsor for the opportunity. This bassinet is beautiful. I love its design. we’d love to have one of these for future babies–our former bassinet was one of the ones that was recalled a couple years back. And this–well, it’s just gorgeous! oh, gee–just realized I commented twice. Please forgive the faux-pas: I didn’t see the comment appear and thought I was having internet troubles. Sorry! What a lovely giveaway! Beautiful bassinet! Oh, I’d love to be entered. We are about to travel soon with our young baby and this would be perfect to take with us! oooh my goodness – that is gorgeous. My five day old daughter would love to snuggle in that! It’s lovely! Such a beautiful USEFUL thing. Isn’t it great when the two come together. Thanks for the chance to win. I hope I’m not to late to be leaving a message! This would be fantastic for that August baby we’re expecting! Perfect for our expected little one. I don’t know if I missed my chance this weekend for such a beautiful gift but my daughter is due this month and this would be lovely! Thanks for the chance! i could sooooo use this!! !